Allo and Duo are the latest apps from google. 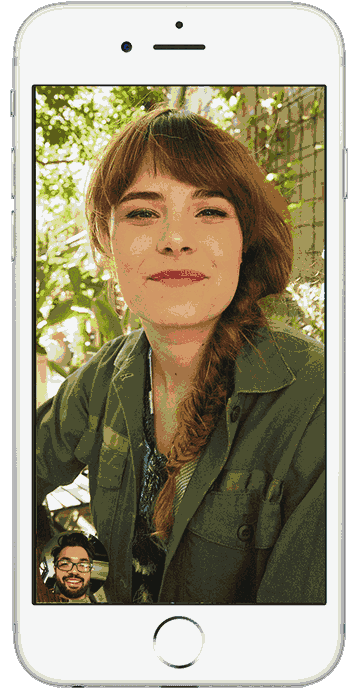 Allo is a Messenger apps like the popular Facebook and Whatsapp Messengers, developed by Google for both android and iOS, Duo is a video calling or chatting app. Google confirmed the lunch of Allo via their blog earlier this week where they describe it as the "smarter Messaging apps". Is Google Allo a direct competitor with Facebook and Whatsapp Messengers? 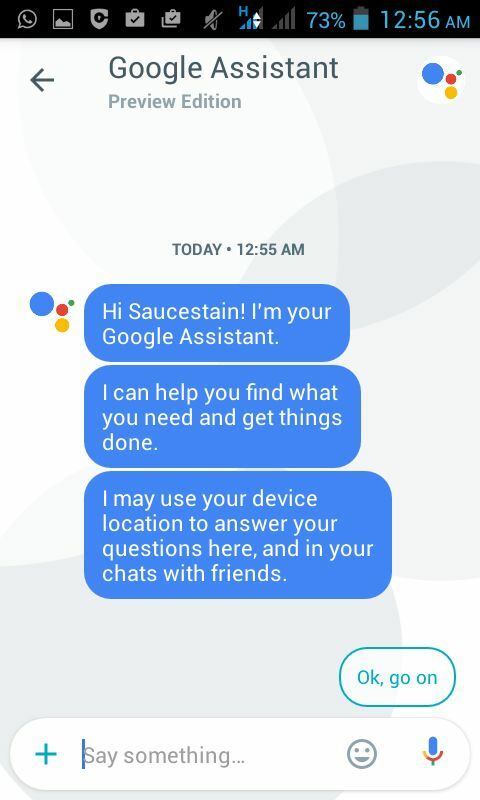 I say YES because it has some cool features like Google bot that learns about your chat with time, more like an assistant. 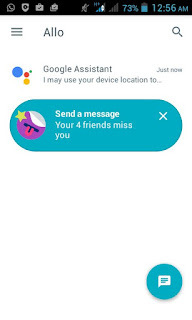 One of the main feature that separates Allo from other messaging apps is the Google Assistant(bot) that acts like a virtual assistant,. It learns your chat over time and gives you "smart" suggestions making chatting and staying in touch with loves ones fun and easy. You and your friend might be discussing where to go and have fun at the weekend and the Google assistant could suggest Movies, if you pick the suggestion, it could go further to automatically search and show you the nearest cinema closest to you and even their movie schedule in few seconds. Cool right? Another feature is that you can talk with Google Assistant using text directly on Allo just by typing "@Google". - talk directly what you require and it will provide it for you, just like google search but you wont need to leave the app to do so. 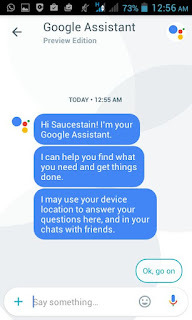 Although Google Allo requires just phone numbers instead of gmail account to operate the app, it might be associated with your gmail account if you have one, just for the purpose of personalizing the infornation provided by Google Assistant. √ Incognito Chatting - Privacy protection similar to Whatsapp end-to-end encryption. √ Expiring Chat feature - allows you to set those private chat to expire after which will be automatically deleted. √ Private notifications - to keep private chats from prying eyes. √ Whisper Shout feature - allows you put text in ascending or descending order to simulate whispering (small text) or shouting ( large text). √ add quick voice messages and animated gif images to your conversations. Google duo is another latest product from google which is a video calling app that is said to take on popular apps like Skype and Facetime. 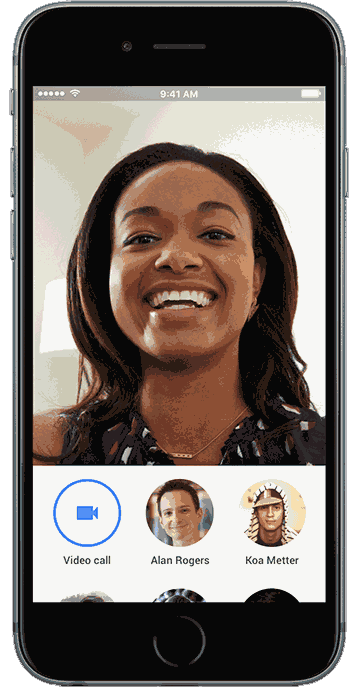 Google duo online Allo, is not a messaging app but a full time video chatting app. It has a simple and smooth user interface accompanied with its small size ( just 7mb) and great features such as speed, which is its main feature. Google claims that Duo will work even with poor network like 2G networks. How is this possible? According to google " Duo can dynamically adjust the video and audio quality to suit whatever kind of connection you are on" without breaking, even when switching between WiFi and cellular networks. I'm not a computer engineer, so I don't know how they did it, but this is cool ! √ Can be used even with poor networks. Try Google Allo and Google Duo app and let us know your experience. Do you think Allo will outshine Whatsapp Messenger?